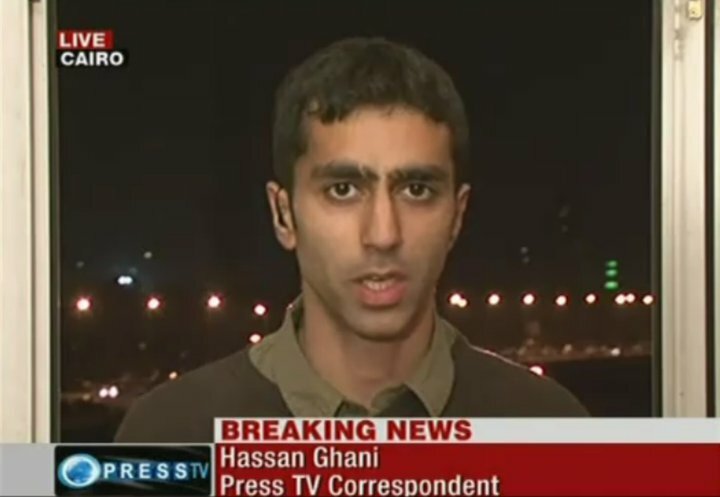 Hassan Ghani, a brave and hard-working young reporter known for his documentary films about the Viva Palestina aid convoys and his live reporting from the deck of the Mavi Marmara as it came under attack by Israeli commandos last May, has been kidnapped by the Israeli state and is in grave danger. Hassan is an award-winning Scottish journalist known for his honesty and integrity. Four days ago, he was working to cover the story of two boats travelling to Gaza under the name of the Freedom Waves flotilla. While the boats were in international waters, warships and gunboats from the Israeli navy attacked them. Masked and heavily-armed commandos stormed aboard (an act of international piracy), hijacked the boats and abducted all those on board to an Israeli jail. Although other journalists working on the boats have since been released, Hassan has not. Moreover, he has been kept in isolation from all the other passengers. The two boats, MV Tahrir and MV Soairse, were organised by human-rights activists from Canada and Ireland in the latest attempt to break the illegal siege on Gaza. Hassan was the only British citizen aboard, but the UK consulate in Tel Aviv is notoriously uninterested in protecting the rights of Britons who have incurred the wrath of the Israeli state. Moreover, Hassan is a muslim. His parents are from Pakistan and he has worked for several years as a reporter for Press TV. In the current climate, where the ‘war on terror’ is being used as an excuse for rampant islamophobia, both in Britain and Israel, it is clear that the British government is only going to take action if it feels itself to be under pressure from the public to do so. Indeed, it may well have political motivations for colluding in any attempt by Israel to brand Hassan as some kind of terrorist or agent, although any such claim would be totally spurious and unfounded. If there is no pressure from the British government, there is no saying what the Israelis might feel free to do. In a state based on ethnic cleansing and apartheid racial segregation, just having a brown skin is a ‘provocation’ to many officials. Where that brown skin is accompanied by a muslim name and a mission aimed at exposing Israeli war crimes, experience must lead us to suspect the worst. The history of Israel is made up of six decades of perpetrating the most horrific crimes against Palestinians, Lebanese, Syrian and other middle-eastern peoples – and of total immunity from any consequences thanks to the protection of successive British and US imperialist governments and corporations. The massacre of ten unarmed human-rights activists on the 2010 Freedom Flotilla was just one of many examples of Israel’s unbridled aggression towards those who try to bring it to account. No doubt Israel would welcome the chance to make a scapegoat of Hassan, especially at a time when it is escalating its efforts to start a war against Iran. Other delegates aboard the two ships heard Israeli officials refer to him as “The Iranian”, which itself is a chilling indication of the attitude being taken towards Hassan. To all those reading these words: please do what you can to spread awareness of Hassan’s plight in any way possible. The story needs to be covered by British journalists. Our media unions must take up and publicise Hassan’s cause, and those union members who work on the news must insist that the story gets coverage. So far, there has not been a single mention of Hassan’s abduction or of the raiding of the Freedom Waves flotilla on the BBC. The video below features an interview with Jihan Hafiz, a US journalist who was also working on board the flotilla and who has now arrived back in New York. Please forward this link or write a message of your own and spread the word. The British government must demand Hassan’s immediate release! I have seen “Hassan” as you mentioned reporting from flotila. Hope governments take action and free him. It’s a bitty that we live in a world were good people get acused of bad things while bad people live freely and even protected. I’ll circulate this in South Wales. Hasan is a lovely guy, a brave and committed journalist who cares for the truth. That is the only threat he poses. If this is how Israel treaats foreign citizens, arrested in international waters, how much worse would it deal with it’s, illegally, occupied peoples? – Free Hassan Ghani! And also release the very many other innocent prisoners languishing in Israeli prisons! PLEASE share & spread the news.. we need to contact BRITISH EMBASSIES all over the world .. putting pressure on them.. to get involved through diplomatic channels to release reporter Hassan Ghani whose been kidnapped & captured by Israheil while he was working to cover the story of two boats travelling to Gaza under the name of the Freedom Waves flotilla.